which is why when Twigs owner Jen told me about a jewelry line that casts modern-day jewelry from 19th Century wax seals, I knew an unhealthy obsession was afoot. 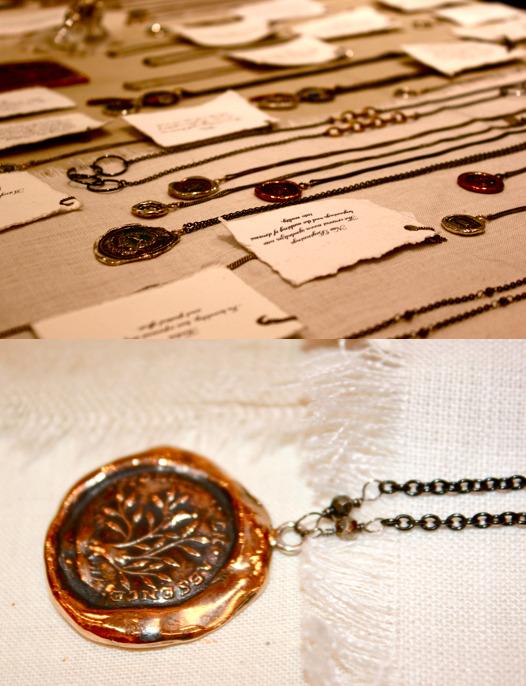 Pyrrha was started by a couple in Vancouver after they uncovered an old box of wax seals. (you know, the things that the devilishly handsome swashbucklers stamp into somehow sexualized dripping hot red wax). 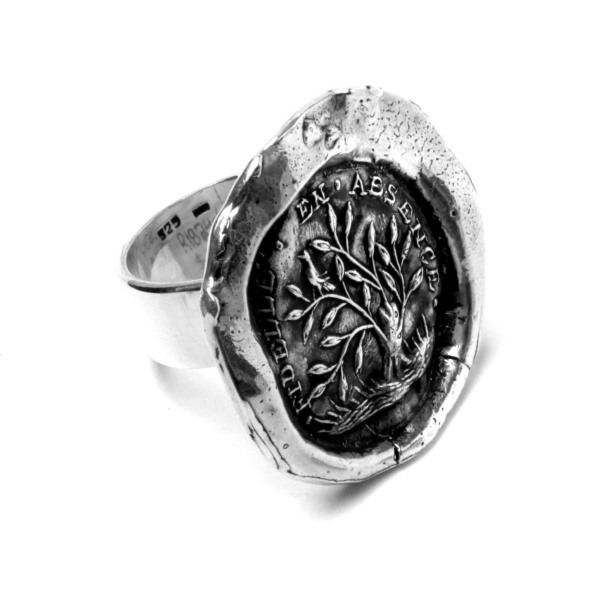 They decided to use these unique stamp designs to create hand-crafted jewelry from reclaimed sterling silver and bronze. 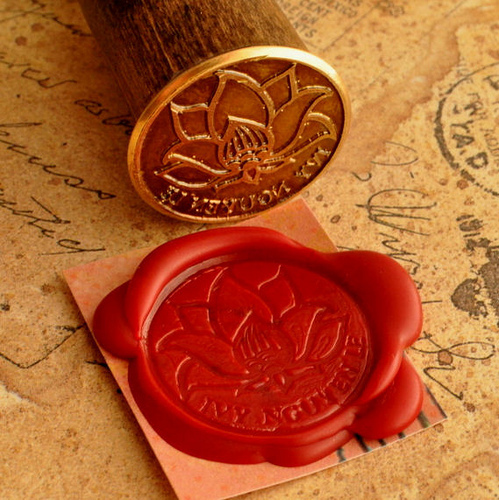 Every piece contains "insignia rich with meaning"; sort of like a coat of arms. So, not only does each "talisman" hold an extra-special significance - but you get to call it a talisman - and if that doesn't get your spidy geek sense a-tinglin', I don't know what will. They also make rings, bracelets, earrings .... and everything else you don't need but totally have to have. Also...they make you a celebrity! From Pyrrha's website: "Our symbolic talisman necklaces can be seen regularly in film and television and gracing the necks of celebrities including Julia Roberts, Jeremy Renner, Reese Witherspoon, Rooney Mara, Katie Holmes, Brad Pitt and Taylor Swift. So gain fame and fortune ** at Pyrrha's website. or head over to Twigs on Monroe street (or to their website). those are too meaningful but too AWESOME! xO! So pretty! We loveeeeee everything about their collection and have been lusting after certain pieces for over a year!! !